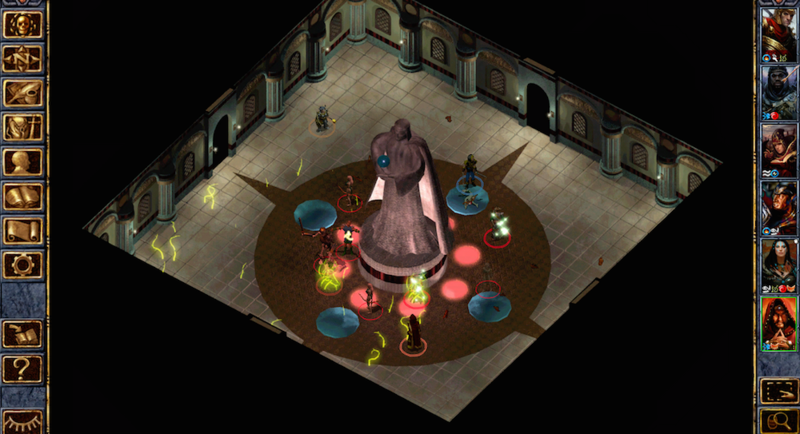 The 1998 standard for Dungeons & Dragons RPG titles has now made its way to Google Play, Baldur’s Gate Enhanced Edition. In Baldur’s Gate, you play as a hero who is forced from his home under mysterious circumstances, who inevitably must fight sinister forces that look to destroy the world. In true D&D fashion, you play to rank up your player, allowing his traits and abilities to grow. You must also gather a group of warriors to explore the world, searching for “adventure, profit…and the truth.” In total, the gameplay adds up to about 60 hours, plus there are a few expansions included in the Enhanced Edition, as well. If you don’t have anywhere to go, and you enjoy a classic RPG, then this is the game for you. The game is available on Google Play for $9.99, and interestingly enough (or maybe not), there are additional IAPs available.